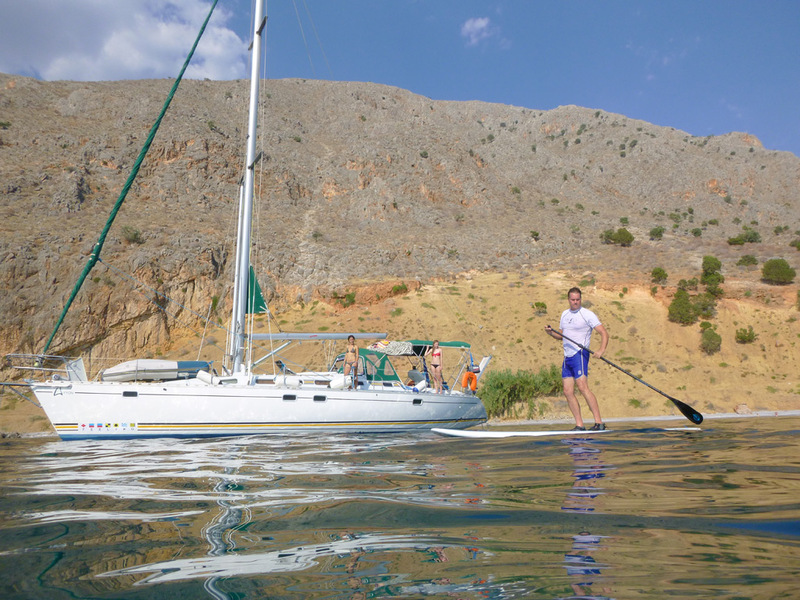 Combine a stay at Daphne’s Club with a skippered sailing trip inside the Gulf of Corinth or across the Canal of Corinth and into the Saronic Gulf and discover the unique pleasures of coastal and island Greece. This package is designed to introduce you to the very best of Greece. It combines a stay at Daphne’s Club Hotel Apartments & a skippered sailing trip. In this way, you can combine relaxing at the beach & discovering the sights of mainland Ancient Greece, with a slightly more adventurous sailing holiday, enjoying the pleasure of swimming directly from you boat and discovering the sights and sounds of coastal and island Greece. ‘Daphne’s Club Stay & Sail‘ includes a stay at our hotel of a mimimum of 3 nights with a skippered sailing trip the length of which will depend on your choice of destinations, as described below. Depending on the number of people in your party, your budget and the comfort level you are seeking, we will suggest a number of boat option for you to choose from. Your skipper is the younger Mavrommatis family member, Alexander. Aleaxander is an experienced skipper who has sailed the Greek seas widely on a large number of sailing boats and catamarans. He is fluent is English and French and speaks basic level Spanish. He hold a MSc in Economics from the University of Portsmouth, has traveled extensively in Europe and loves reading, gardening and cooking. From what we hear from his former sailing guests, you are bound to enjoy Alexander’s company as much as your sailing trip! 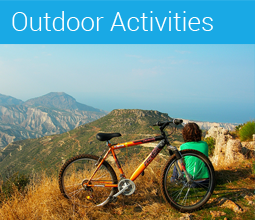 The following itineraries are suggestions only. Depending on your wishes, your mood and your sailing experience we can together work out as many different options as you can dream of! This skippered sailing trip will take you from Daphne’s Club Hotel Apartments, on the northern coast of the Peloponnese, to Galaxidi, Nafpaktos & Trizonia on the southern coast of mainland Greece and Patras, back on the northern coast of the Peloponnese. 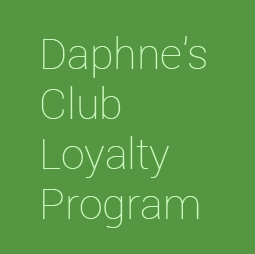 Day 1: Daphne’s Club to Galaxidi (approx. 22 nautical miles). 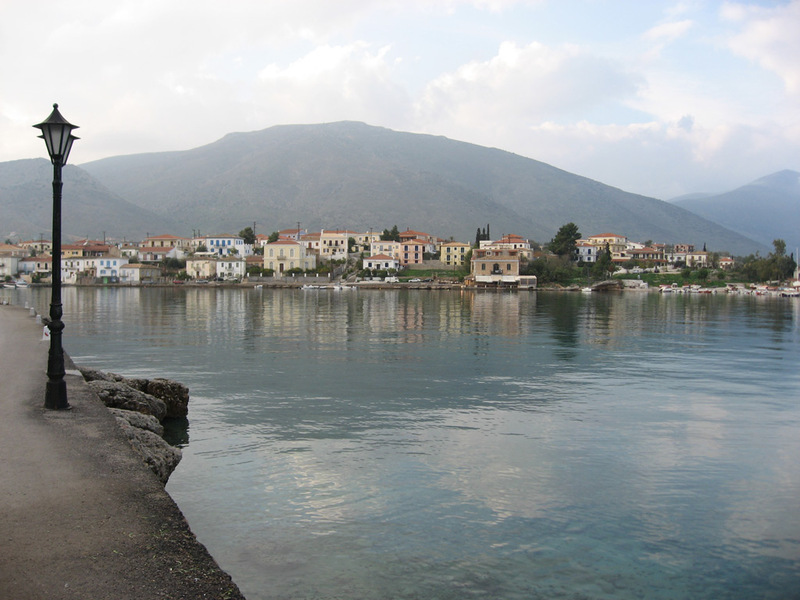 Your first night will be spent in Galaxidi, on the foot of mount Parnassos. Galaxidi is a charming port city with well-preserved 19th-century buildings and pleasant seaside tavernas. You can spend your day sailing and swimming in the protected gulf. 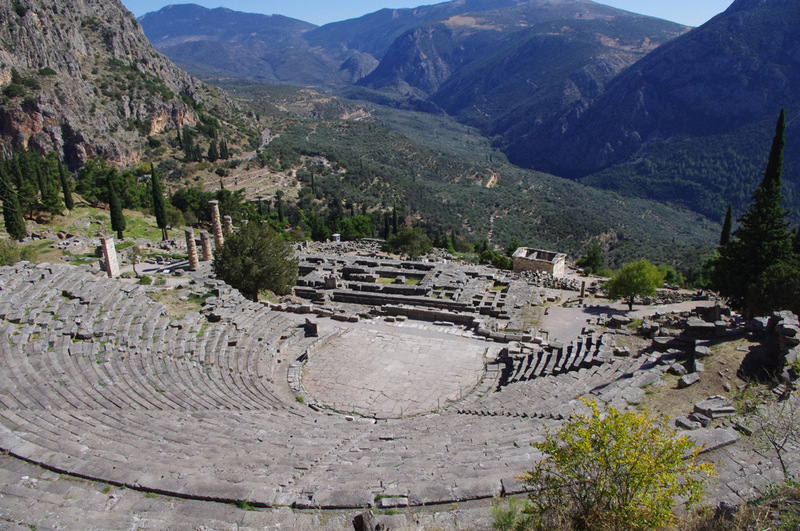 From here you can also take a taxi to the famous archeological site of Delphi. Day 2: Galaxidi to Trizonia (approx. 19 nautical miles). Your second night will be spent on the small and picturesque island of Trizonia. You will have the opportunity to enjoy swimming directly from your boat during the day and in the evening you can watch the sunset with your company. Day 3: Trizonia to Nafpaktos (approx. 12 nautical miles). 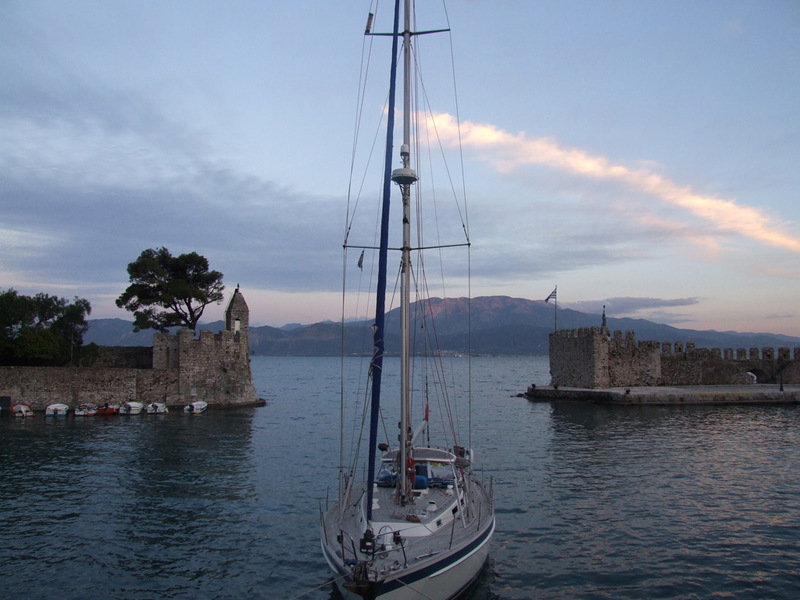 Your third night will be spent in Nafpaktos, site of one of history’s most famous naval battles. The city is dreamlike! Walking along the edges of the small port you will enjoy the views of the mountains on the other side of the Gulf of Corinth, the sight of the Rio bridge and Nafpaktos itself, with its small seaside tavernas and bars. Day 4: Nafpaktos to Patras (approx. 10 nautical miles). On your fourth night you will stay in Patras. To arrive here you will pass under the Rio bridge, the world’s longest multi-span cable-stayed bridge. 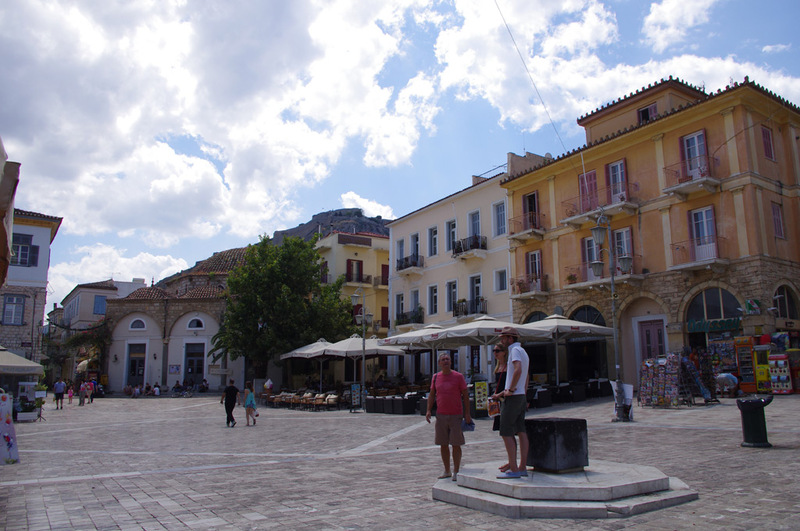 Patras itself is an interesting city and Greece’s third largest one. You can take a walk inside the old city walls and visit the famous St Andrew’s church, the largest church in Greece and the second largest Byzantine style church in the Balkans. It holds relics of the apostle Saint Andrew, which were sent here from Rome in the 1960s. This skippered sailing trip will take you from the port of Corinth, 40 km from Daphne’s Club Hotel Apartments, on the northern coast of the Peloponnese, to Epidavros and Methana on the East coast of the Peloponnese, the island of Poros, the peninsula of Sounio and the island of Aegina, before disembarking you at the marina of Kalamaki, in Athens. Day 1: Corinth to Ancient Epidavros (approx. 30 nautical miles). On your first day you will cross the 6.5 km long canal of Corinth and sail south along the east coast of the Peloponnese to reach the small port of Ancient Epidavros. You can stop to take a swim along the way, or arrive early to visit the ancient theater of Epidavros. Day 2: Epidavros to Methana (approx. 10 nautical miles). On your second day you will sail across to the peninsula of Methana, enjoying the sailing and swimming along the way. This will be mostly a day of relaxation, which will give you the opportunity to take full advantage of your private yacht. Day 3: Methana to Poros (approx. 20 nautical miles). You will spend your third night on the island of Poros, one of the main islands of the Saronic Gulf. Poros is picturesque and cosmopolitan and you will have much to keep you busy during the evening and night. During the day you can go water skiing, as Poros has one of Greece’s most famous water ski schools. Day 4: Poros to Sounion (approx. 30 nautical miles). 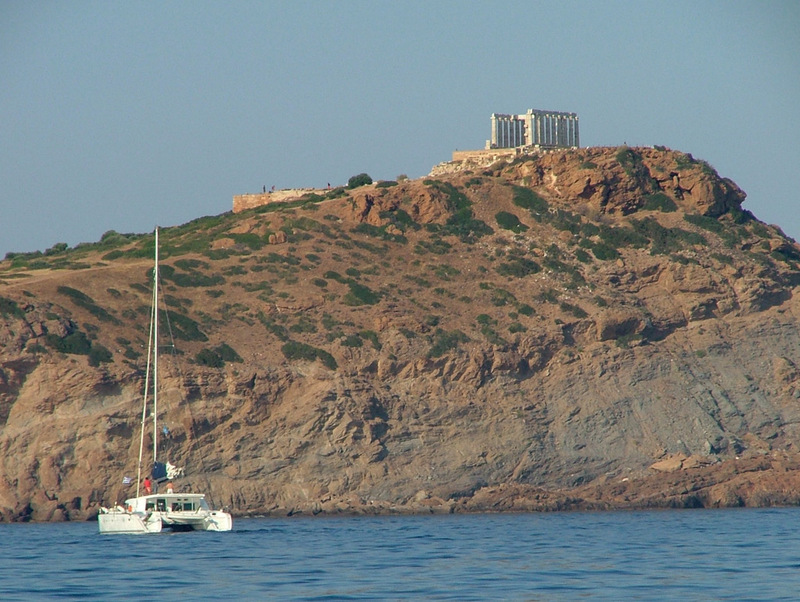 You will spend the following night under the ancient columns of the world-famous ancient temple of Poseidon in Sounion. There is hardly a more romantic setting for a sailing yacht on this planet! You can spend the day swimming of your boat, visit the ancient temple and then enjoy the sunset looking at it from your deck. Day 5: Sounio to Aegina (approx. 30 nautical miles). You will spend your 5th night on the island of Aegina, a favorite among Athenian sailors. The island’s main town is very picturesque. 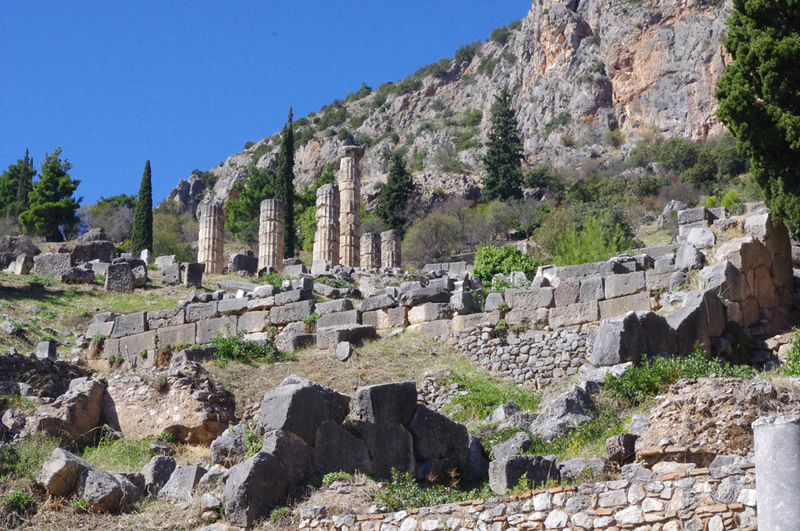 You can visit its many seaside tavernas and bars, as well as the famous temple of Afea. Day 6: Aegina to Kalamaki (approx. 25 nautical miles). Your last night on board your yacht will be spent in the Athenian marina of Kalamaki, this giving you the opportunity to visit the Acropolis, spend a night out in Athens or catch your plane back home!